Based on their successful Severn model, the Severn Trembuck comes with 2 humbuckers controlled by a 3-way blade switch with push-pull option, allowing for coil tapping and providing both high-gain humbucking as well as classic single coil sounds with a 25.5” scale. 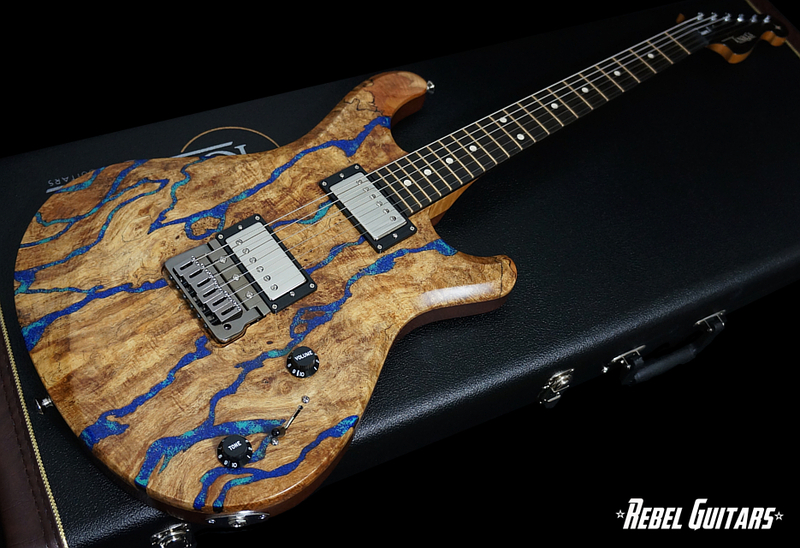 Knaggs’ proprietary Chesapeake Tremolo has been redesigned to allow for increased string vibration and sustain and back loading of electronics. Standard features are set Rock Maple necks with Rosewood or Maple fretboards and Alder/Sapele laminated bodies with or without Maple tops. Like all Knaggs models, the Severn Trembuck is available in three tiers and a variety of color options. 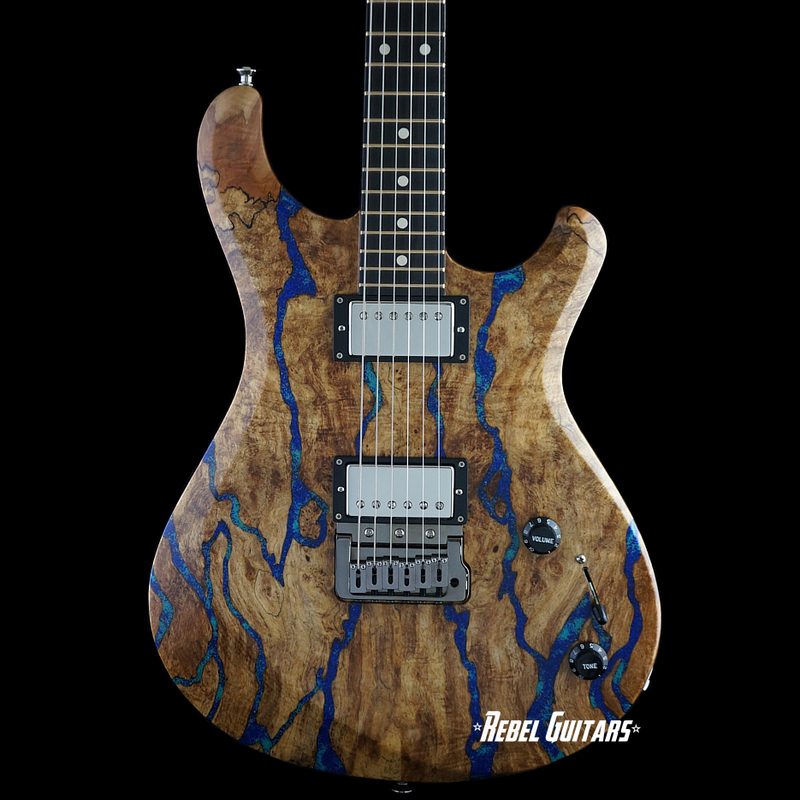 This Severn Trembuck features a Spalted Maple top with Turquoise and Lapis stones inlaid across the top, Alder body, Curly Maple neck, Macassar Ebony fretboard, locking tuners and Seymour Duncan TB4 and SHN2 pickups.